Flaneur is a bedding company based in NYC. When the use of white is not so much of a by default choice. See how these master level interior designers use white deliberately. This British-born stylist is known for her sunny style and creative editorial eye. 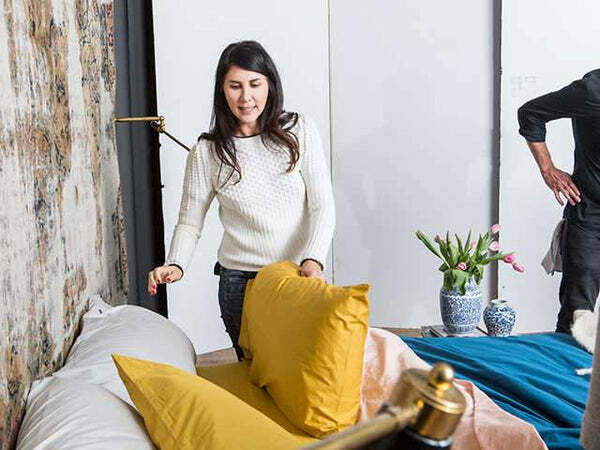 The fashion phenom shares her Flaneur bedding picks and talks color and creativity. These art movements have inspired our spring collection, Renewal. A skilled creative turns his attention toward the world of scents. These dynamic gardens will inspired you and refresh you in their vivid colors and beautiful locales. From Albers to Rothko, these are the arts that celebrate raw color. Go there with sweet pink- beyond the trends. Shop pink. The colorful designer brings bold bedding to a classic Palm Springs residence. Vincent Darré pulls the venerable salon into the 21st century. Get his ideas and quotes. Founder's Notes On Lighten Up. A behind-the-scenes look at Flaneur' choices informing the Lighten Up campaign. A special selection of art exihibitions that are not to be missed. These are the desert spots that should be on your travel bucket list. TJ and Lu, Flanuer's founders, share the best books to pack in your bag before you check in and check out. Meditation is about reaching inner peace. If you cannot follow the breathe-in and breathe-out or cannot put up with the new world music, just don’t. Situated remotely but outfitted luxuriously, these are the chalet and snowy resorts that demand a look. Stylish and effortlessly creative, explore these vintage travel posters. Their colors may inspire your next bedding. These are the tips that guide to bedroom perfection. There is no reason to fear a bold drop of color, even in the most classic of spaces. Studied in art and taste, Bennett Leifer shows us how to live with color. This Pacific-Northwest-obsessed designer has a knack for cozy comfort- Oregon style. See his color picks. The colors of New England are unmistable, worth celebrating for their saturated richness and air of carefree joy. 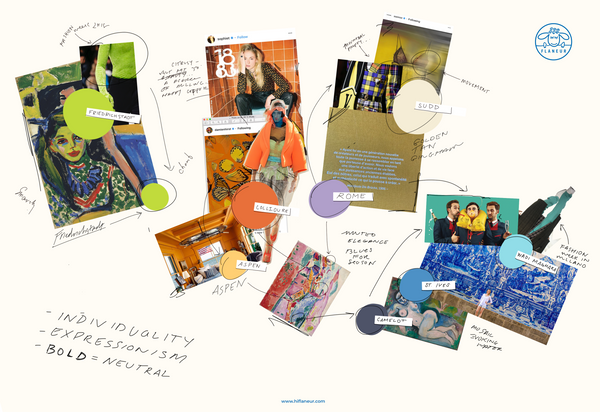 Explore the Flaneur colors of the month for October. In the early 20th century, Expressionism took the European art world by storm, replacing a traditional sense of realism and precision with emotionally driven works characterized by bold colors. 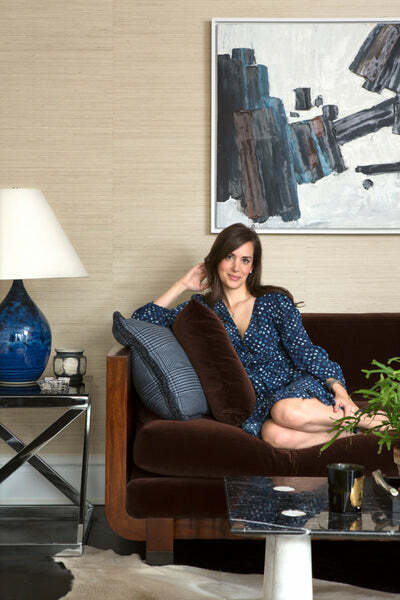 Texas native Ashley Darryl has been making a name for herself in the New York interior design scene. We sit down with the designer to talk color.